New York, NY—The Twenty-Four Karat Club of the City of New York is pleased to announce that R&B and pop music legends The O’Jays will perform at the 117th Grand Banquet, Saturday, January 12, 2019 at the New York Hilton Midtown. The evening’s entertainment is being sponsored by Bulova Timepieces, a Citizen Watch America brand. 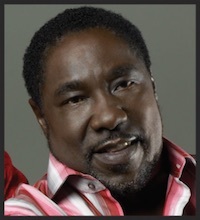 (Left: Walter Williams, one of the O'Jays founders). The O’Jays got their start in 1963 when Walter Williams and Eddie Levert formed a band with William Powell, Bobby Massey, and Bill Isles. Over the years, several band members have changed, but Levert and Williams, the original lead singers, continue to front the group, renowned for such chart-topping hits as “Backstabbers,” “Love Train,” “I Love Music,” and “Use Ta Be My Girl.” The O’Jays were the first black vocal group to perform in arenas throughout America during the 1970s and 1980s. Eddie Levert, who co-founded the O'Jays with Walter Williams. The O’Jays are a particularly appropriate choice for the Twenty-Four Karat Club, which deeply values friendship and tradition. Levert and Williams have been friends and partners for over 65 years, since childhood. “We still appreciate our friendship, dedication to each other and the group, and our love for good music," says Williams. 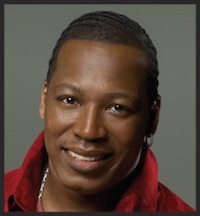 Eric Grant, one of the band members of the O'Jays. “The evening promises to be spectacular,” says Club Banquet chair Myriam Gumuchian. “In response to members’ feedback, we’re hosting both the pre- and post-party in the Grand Ballroom Foyer, which is right outside the ballroom at the Hilton.” There also will be a lounge area nearby for guests to mingle as well. Following the dinner and the O’Jays performance, the Club will host its annual after-party Bash, featuring high-energy dance music, open bar and, back by popular demand, the chocolate fountain. For those who prefer a slightly quieter environment after the dinner, a new “Sip ‘n Chill” bar and lounge will be set up in the West Promenade. The Twenty-Four Karat Club Banquet is the industry’s premier and most prestigious black-tie event, with more than 1,000 guests in attendance each year. In 2015, the Club broke with its longstanding tradition of keeping the entertainment a secret until the evening of the Banquet. Club chairman Jeffrey Fischer says the decision to announce the entertainment in advance has been well received by both members and the industry at large. The decision to announce the entertainment in advance went hand in hand with the biggest change for the Club in more than a century: moving its beloved Banquet from the storied Waldorf-Astoria—closed for a three-year renovation—to the Hilton last year. Members were understandably nervous about the change, but the move proved to be a huge success. Members and guests alike praised the Hilton’s layout, allowing for easier movement between the various rooms and suites where different cocktail receptions and after-dinner events take place. 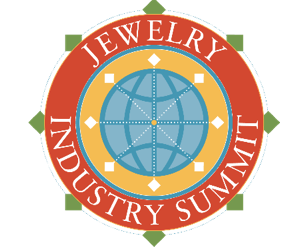 New York, NY—Registration for the Third Jewelry Industry Summit is now open. The event will be held February 2-3 at the Tucson Convention Center in Tucson, AZ, immediately prior to the AGTA GemFair. Hotel reservations are available through the AGTA registration site. 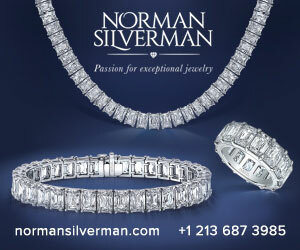 Sponsors to date include AGTA, PGI, GIA, and David Yurman. The goal of this year’s Summit is to enable attendees to use practical tools and resources to sustain responsible sourcing. The speakers and interactive programs will focus on what can be done immediately by every sector in the supply chain to achieve that goal. Progress of various initiatives previously developed at Summits will be reported, and new initiatives will be discussed. Registration is $275, with various discounts available to students and members of the leading trade associations. Additionally, attendees under age 25 can register at the lowest available price of $100. Those registering before December 31 will also receive an early-bird discount. “We look forward to another exciting and engaging session in Tucson. 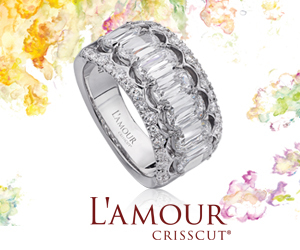 We are especially interested in attracting young and emerging jewelers to our community. The program will allow attendees to engage immediately in some form of action to improve our supply chain. Sustaining our business partners from mine to retail is a central driver of our organization, and we are grateful to our sponsors who make this event possible,” said Cecilia Gardner, Board Chair of the Jewelry Summit. For information about additional sponsorship opportunities visit www.jewelryindustrysummit.com. To register, click here. New York, NY—Initiatives in Art and Culture (IAC) last week launched “Vortex: Day of Light,” a new conference addressing key issues in the diamond and gemstone sectors. The event supplemented IAC’s annual two-day fashion conference and helped kick off New York City Jewelry Week. Day of Light explored a range of topics, from branding initiatives in the industry, to color trends affecting design, to the importance of storytelling in customer engagement and experience. By exploring the bread and butter bridal market alongside bespoke, as well as issues impacting the colored gemstone industry. Initiatives in Art and Culture (IAC) educates diverse audiences in the fine, decorative, and visual arts through conferences, publications, and exhibitions that take an interdisciplinary approach.